PALS is a combined polarimetric radiometer and NASA licensed radar sharing a rotating planar array antenna. 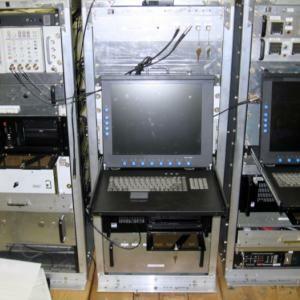 The PALS instrument includes a combined L-band radiometer and scatterometer , operating at 1.413 GHz and 1.26 GHz respectively. It was designed and built to investigate the benefits of combining passive and active microwave sensors for Ocean salinity and Soil moisture remote sensing. It is the prototype for the Aquarius and SMAP missions and its' flexible design is compatible with many aircraft. PALS has flown on the NCAR C-130, NASA’s P-3 and Twin Otter International’s, Twin Otter. It is a very mature instrument, and has flown more than 800 hours, in support of NASA campaigns.